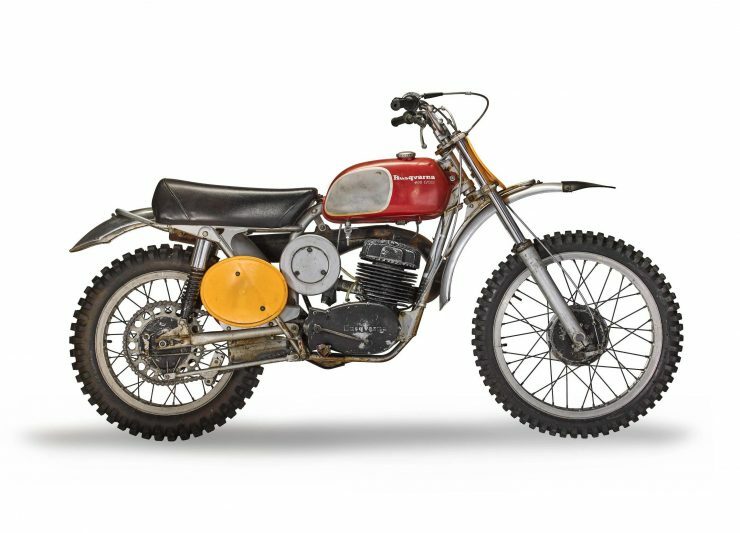 This is the Husqvarna 400 Cross ridden by Steve McQueen in the seminal motorcycle documentary On Any Sunday – undoubtedly one of the most important motorcycle films ever made. 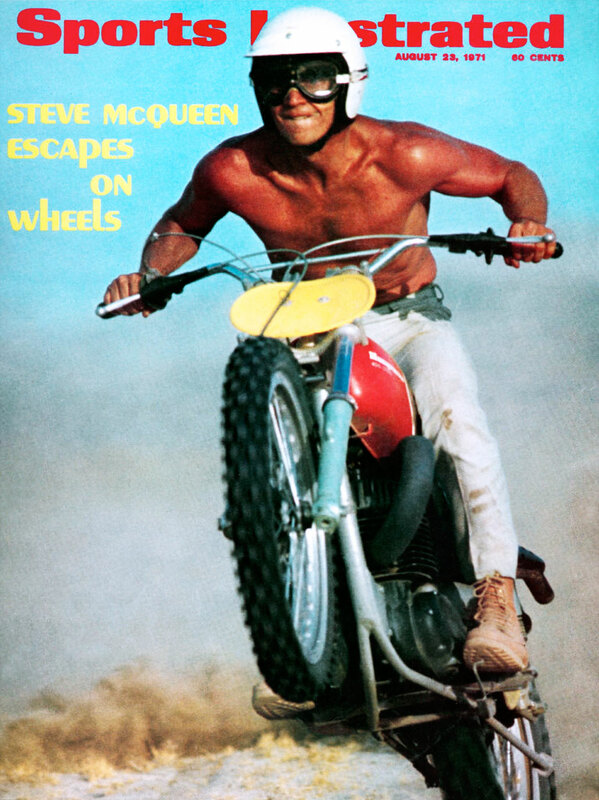 The closing scene of the documentary famously features Mert Lawwill, Malcolm Smith, and movie star Steve McQueen riding over sand dunes and out across a beach at sunset. Though better known for his appearances in feature films like The Thomas Crown Affair, The Great Escape, Bullitt, and Papillon – Steve McQueen was a devout racer on two wheels and four. 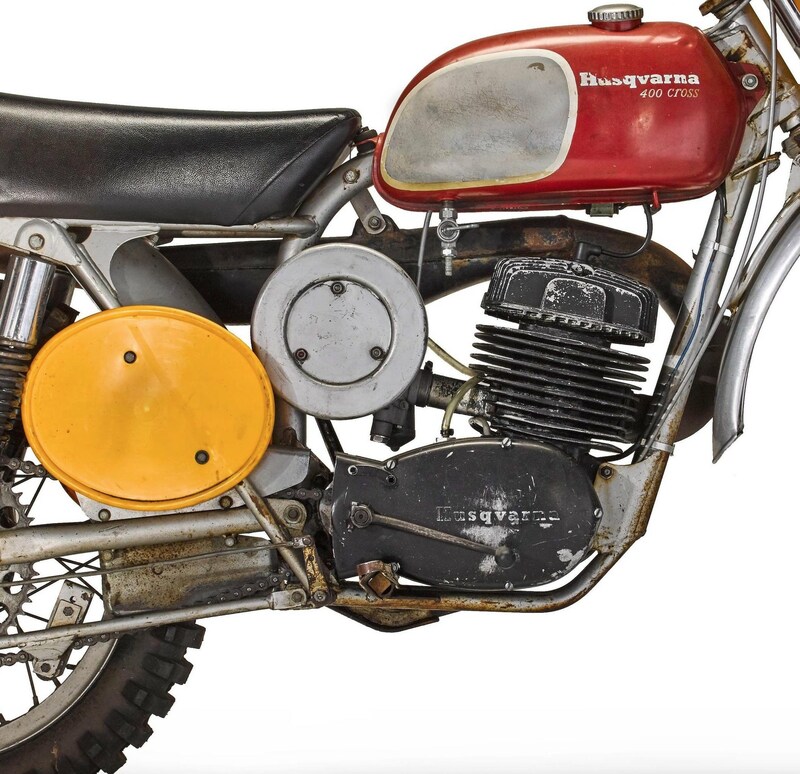 He famously paid for acting lessons early on in his career using his winnings from motorcycle racing, and his salary from a Greenwich Village garage where he worked as a part-time mechanic. McQueen met James Dean at this garage as the (already famous) Dean stored his Indian Warrior TT there, and the two men bonded over their mutual love of motorcycles. 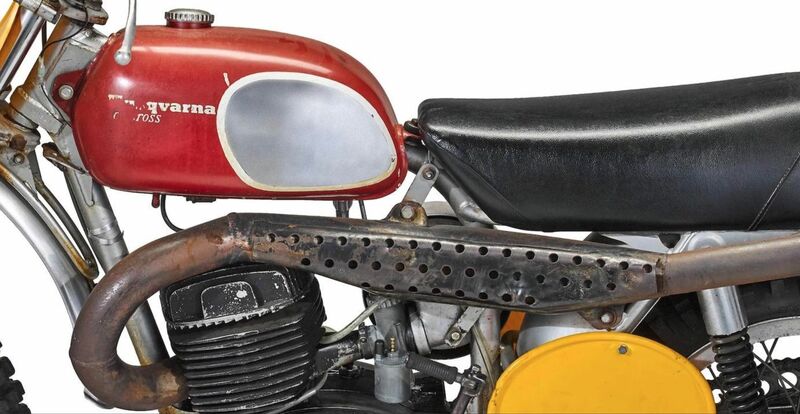 Some have speculated that it was James Dean who gave McQueen the encouragement he needed to seriously pursue acting over racing. The Husqvarna 400 Cross is one of the most pivotal bikes in the Swedish motorcycle manufacturer’s back catalogue, it was famously piloted by Bengt Aberg to dominant victories at the 1969 and 1970 500cc World Championships. 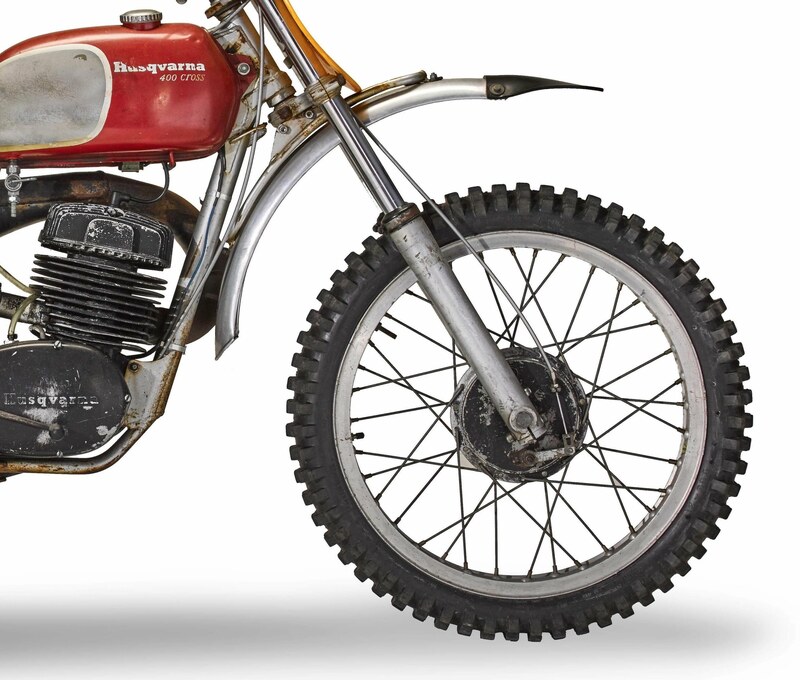 The 400 Cross was essentially an evolution of the earlier Husqvarna 360 Cross that had been introduced in 1966. 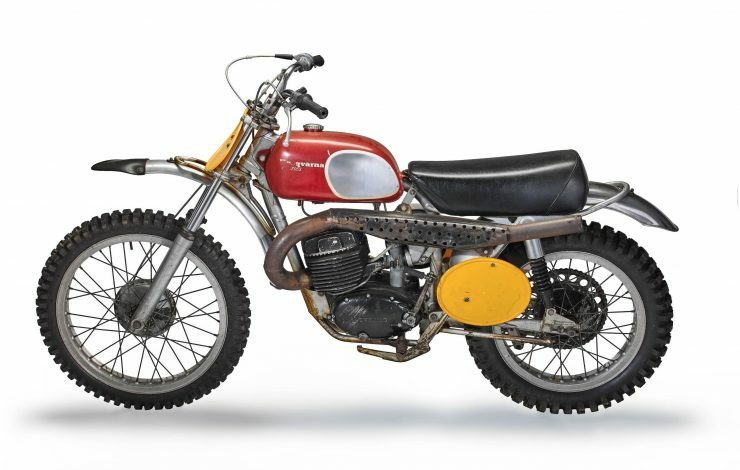 Before this time, the most popular off-road racing motorcycles were typically road-going bikes that had been modified with knobby tires and braced handlebars, often with suspension changes and as much weight reduction as possible. 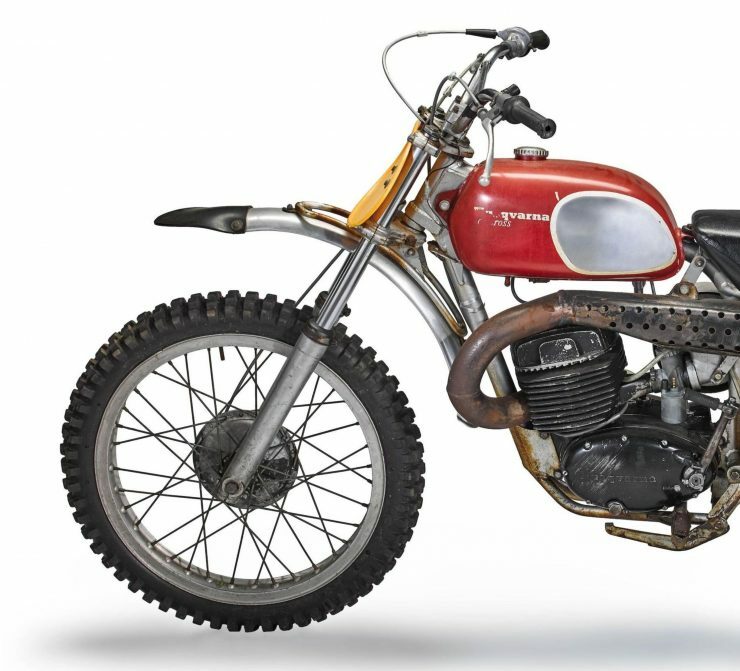 The late-1960s and early-1970s were a time of huge turmoil in the motorcycle world, particularly in the genre of off-road bikes. Husqvarna led the way with their introduction of ultra-lightweight two-stroke racing machines that handled exceptionally well and ran rings around their far heavier four-stroke competition. This would be an approach copied with much success by the Japanese, but in 1969 it was the Swedes who were King of the Hill. Visually the Husqvarna 400 Cross and the 360 Cross look almost identical, one of the most common ways to tell the difference is to stick your thumb between the barrel and the head (when the engine is cool of course), if it fits then it’s a 400, if it doesn’t then it’s a 360. 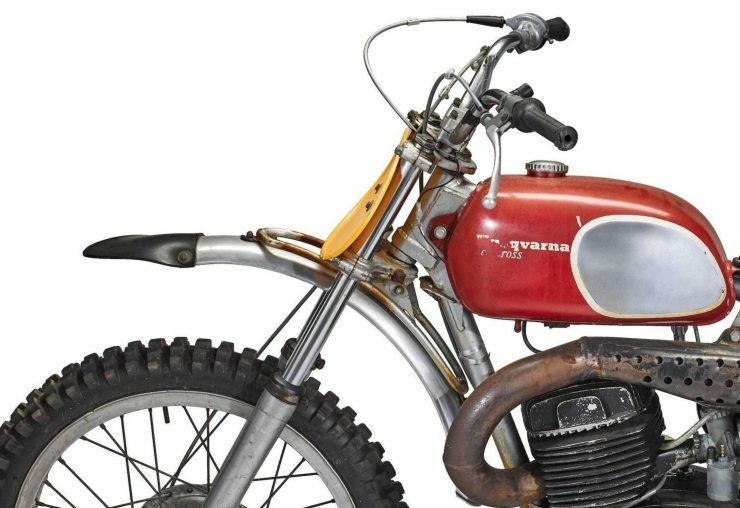 The single-cylinder 396cc two-stroke is capable of 40 hp, it breathes through a 36mm Bing carburetor, and has a bore x stroke of 81 mm x 76 mm. Although 40 hp might not sound like a lot, it only had to contend with a kerb weight of 105 kilograms (231 lbs), and the handling offered by the excellent frame and suspension made the 400 Cross second to none. The most iconic element of Husqvarnas of this vintage is their aluminum fuel tanks painted fire engine red with polished sections where the rider’s knees touch to stop the paint from wearing. Inexplicably the designers at Husqvarna no longer use this livery, instead painting all new motocross and enduro motorcycles with an insipid white/blue/yellow color scheme that’d be far better suited to a mid-range Dyson vacuum cleaner. 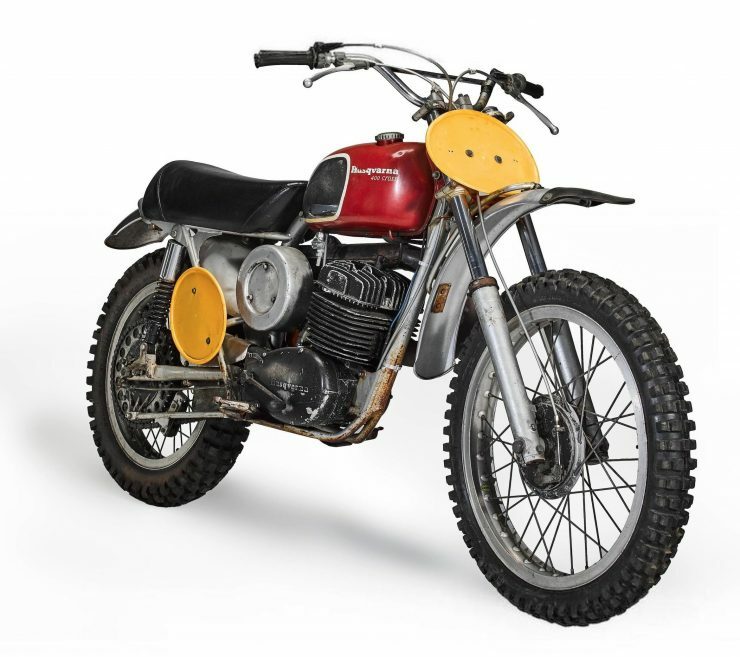 Surviving original examples of the 400 Cross are today worth a pretty penny, though sadly most seem to spend their time on display or unridden in private collections. 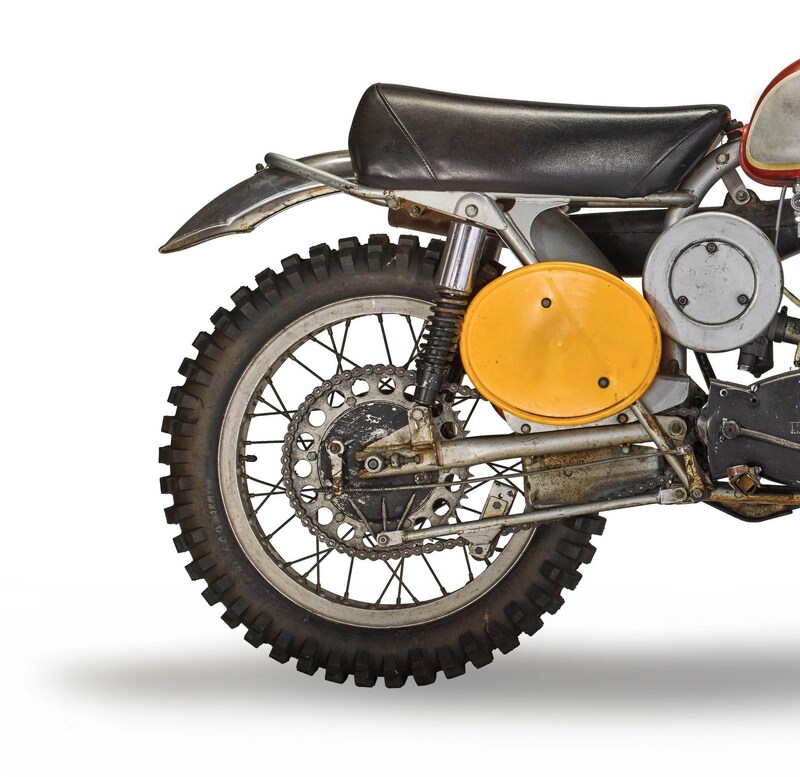 The motorcycle you see here is the most famous Husqvarna in the world – it’s the bike that was personally owned by Steve McQueen and ridden by him during the legendary closing sequence of the 1971 Bruce Brown film “On Any Sunday”. It was this scene that inspired the riding careers of countless professional motocross and enduro racers, not to mention (probably) millions of weekend amateur riders. 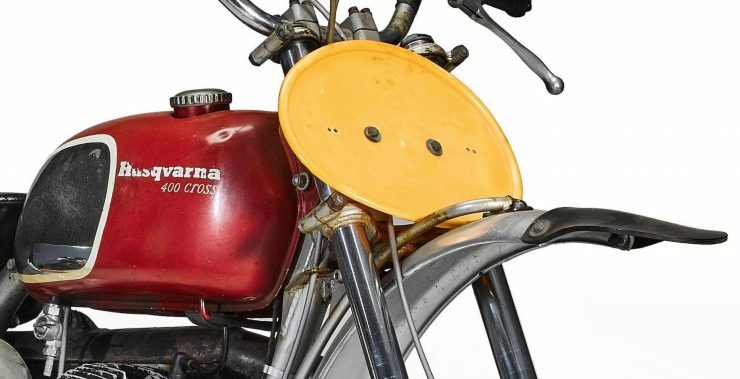 Fortunately, the currently owner of the motorcycle didn’t have it restored, it still wears its patina proudly from its time in McQueen’s ownership. The bike is due to be sold on the 6th of October at an auction at the Barber Vintage Festival, the estimated value is between $75,000 to $100,000. If you’d like to see more or register to bid you can click here to visit the listing.